Roy Williams and UNC took round one against then-No. 1 Duke last week, winning 88-72 in Cameron Indoor Stadium in a game that saw star freshman Zion Williamson exit early with a knee injury. It was the 14th time in UNC basketball history that the Tar Heels have beaten the No. 1 team in the nation and the eighth time in Williams’ career that has has accomplished the feat. Both of those marks are the best in college basketball. The Tar Heels followed that rivalry victory up with another Top-25 win against Florida State over the weekend. The two wins bumped Carolina up to No. 5 in the latest AP Top 25 poll with four games remaining on the regular season schedule. Speaking on his weekly radio show, Williams said it was unfortunate for Duke that Williamson’s injury happened so early in the game but added a slight jab at the Blue Devils as well. Williams trailed off after that and the crowd at Top of the Hill erupted into laughter. Williamson’s freak injury occurred less than a minute into the game and left the Blue Devils without one of the best players in the country. Williamson, the projected top NBA Draft pick, has sat out for Duke since the injury and there is currently no timetable for his return. Hailing from South Carolina, Williamson was heavily recruited by Williams and UNC. The five-star recruit even took an official visit to Chapel Hill before ultimately deciding to attend Duke. But the relationship between the player and coach remained strong and Williams had nothing but good things to say about Williamson. One of the challenges that arose from beating Duke was bringing the team back down to earth to face off against Florida State, who had won eight straight games prior to Saturday’s matchup. Williams said he addressed this with his team shortly after the win over Duke. 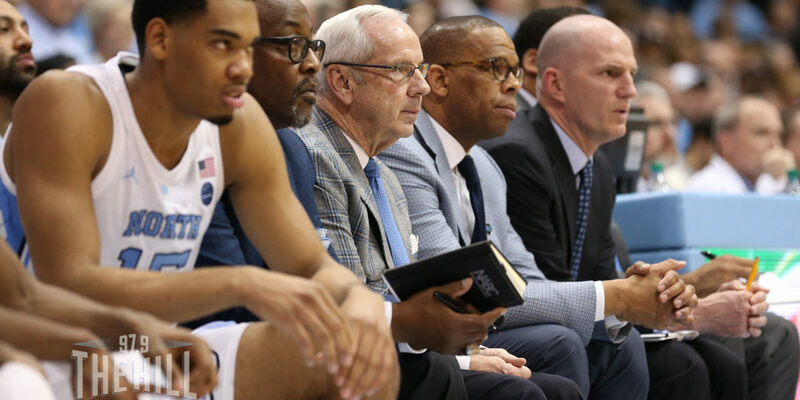 Up next for the Tar Heels is a home game against Syracuse on Tuesday evening, followed by trips to Clemson and Boston College before facing off against Duke in Chapel Hill in the final regular season game. However, Williams said he wants his team to focus on the present and not dwell too much on the rematch with Duke later in the season.